I had always wanted to try out Nature's Co products but the prices always put me off. I even wanted to try their beauty wish box subscription for the month of February but eventually forgot. 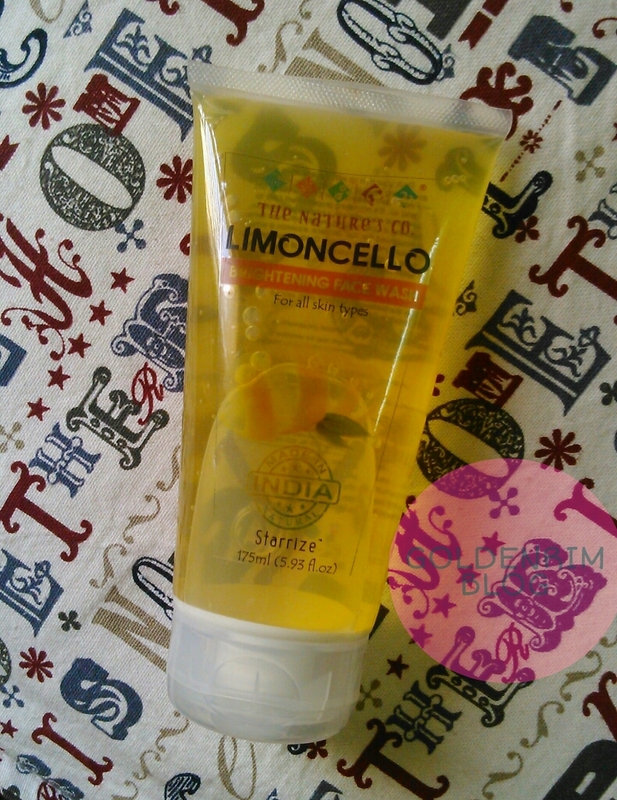 But after using the Limoncello facewash I now know why the products are priced high and the effects of the products. 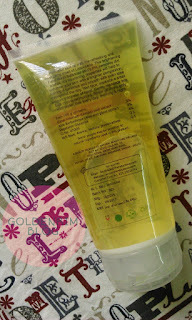 Read on know how the facewash faired which I have been using for around 15 days. Firstly let's talk about the packaging, as you can see from the pics it is a flip cap tube packaging and a transparent tube which makes product quantity visible. The facewash is pale yellow coloured. Coming to the fragrance of the facewash, firstly you feel it is lemony scent but later on it makes you feel orangey :D. My picky nose loves the fragrance as it is not at all bothering as well as lingering. Now talking about the consistency is the part where I have a complaint. The consistency is way too runny such that, the facewash dispenses even without squeezing the tube. Sometimes I end up squeezing more quantity than required and my heart just breaks at the sight of wastage. Now the business part, the facewash perfectly does it's job of cleaning the skin of dirt and oil. It makes the skin feel fresh, clean and smooth. I was surprised to see the effects in firt wash itself. It helps even out the skin (temporarily though), some may feel how a facewash helps even out a skin? And the answer would be try the facewash yourself and you would definitely agree with me!!!! The facewash makes the skin glow a bit (don't confuse it with fair, glow and fair are two different things). Regular usage does show some glowing effect which last for a couple of hours. Now the foaming part, it neither foams much nor less, it is just a perfect foaming for cleaning the face. The facewash is meant for all skin types and I cannot agree more as it doesn't dry out the skin at all. Dry skinned beauties as well as sensitive skin will also be able to use. And yes a little bit pricey!!!! I would definitely recommend The Nature's co Limoncello facewash for it's cleaning and non drying effects on the skin. It gives a clean, glowing effect after using and makes the skin smooth. I find it a little pricey so a repurchase seems a bit difficult. But the facewash is worth trying atleast once and see the results for yourself. What's your favourite The Nature's Co product?